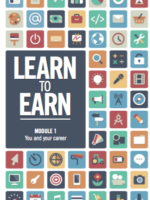 Learn to Earn is a ten-session extra-curricular career development course that provides an overview of career options, study routes, starting a business, getting a job and succeeding at work. It targets learners in Grades 9 to 11; aside from offering them an opportunity to explore their own interests and strengths in relation to careers, it places a strong emphasis on self-motivation, goal setting and lifelong learning as key elements to success. In 2014, MIET AFRICA implemented Learn to Earn in KwaZulu-Natal and the Western Cape. In 2015, it was extended to two further provinces, namely the Eastern Cape and Free State. 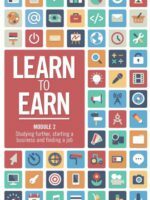 In 2015, with funding from SACPO (The South African College Principals’ Organisation), Learn to Earn was piloted in the TVET (Technical Vocational Education and Training) sector. The Learn to Earn Project was funded by the Absa Foundation, and was succeed by the Barclays ReadytoWork Project.